When Do You Need A Domestic Lighting Audit In Oregon? Many homeowners in Oregon aren’t familiar with lighting audits and how they can be beneficial to their homes. Most of them will wait until there are lighting or wiring problems to call a contractor, and by then, the damage is usually extensive and costly. A lighting audit is more like preventative maintenance measure. It unearths problems with your domestic lighting system, fixes them, and upgrades your system. Getting a lighting audit in Oregon can improve the efficiency of your lighting fixtures and save you money in the long term. Homeowners who live in older homes that have been around for decades can benefit from a lighting audit. This is especially true if you have never had the lighting system inspected or upgraded before. Old homes have outdated light wiring, systems, and fixtures. These do not only reduce energy efficiency in the home but they can also cause electrical hazards. During an audit, the expert contractor will check the entire lighting system to make sure that it meets the current codes. If it doesn’t, they will recommend an upgrade. They will also check for old and outdated fixtures and recommend replacement with new ones. Have you had numerous lighting repairs in the past? Maybe your bulbs keep on blowing, the light is always flickering, or your switches get faulty shortly after replacement? If so, you may have a bigger issue with your lighting system. Your wiring may be faulty, and that’s why the fixtures keep on acting up. Buying new bulbs and switches may not fix the problem. A lighting audit in Oregon can unearth the underlying problems with both your lighting and electrical system and save you from regular repairs. When your energy bills are spiking and you haven’t introduced new appliances, it may be time to have a lighting audit. Most homes have numerous lighting fixtures, including outdoor and security lighting. These fixtures contribute a significant amount to your annual energy bill. They may be the reason why you are suddenly spending more on electricity. An audit can reveal inefficient fixtures such as incandescent bulbs and high-consumption security lights. The expert will recommend the best bulbs to save energy. Some of the best options are LED fixtures for both indoor and outdoor lighting. Regularly auditing your lighting system is an excellent way to keep your lighting fixtures in excellent condition. The audit can also unearth underlying problems and help you fix them before they result in costly repairs. Talk to an expert in Oregon so that they can offer a professional audit of your home’s lighting system. Nowadays, the possibilities for lighting a home are just endless. 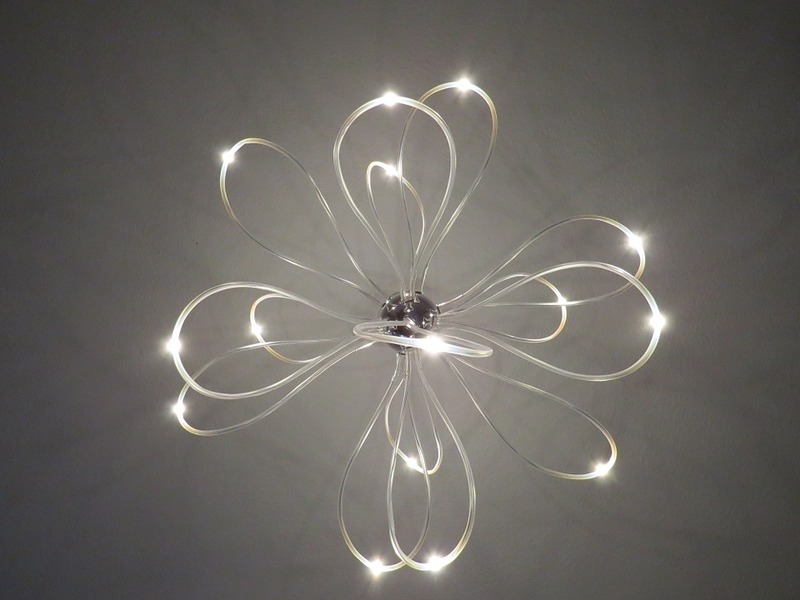 There are so many contemporary light designs for the living room, bedroom, and kitchen. Basically, modern lighting has become an integral part of any new home construction or upgrading. 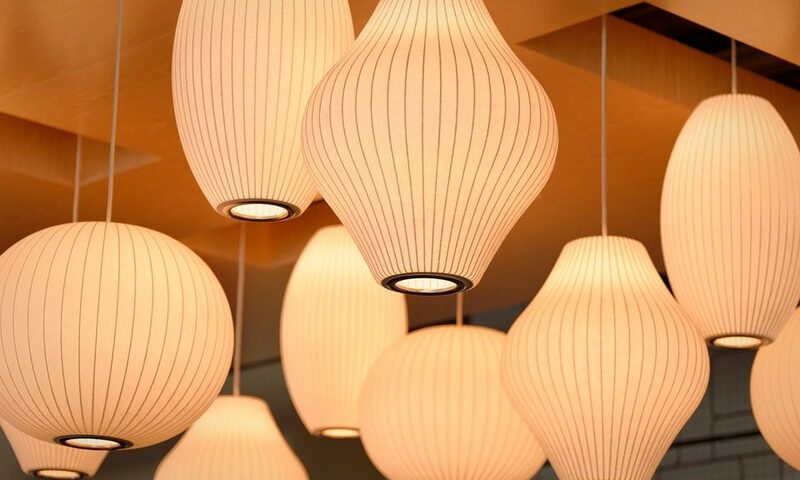 The modern lights can make your home to look bright and feel warm. They are known to inject coziness and to inspire the occupants. However, how you fit the lights at home matters a lot. You have to be a little creative so that your home can look unique and trendy. When it comes to the bedroom, pendants lights are just the perfect choice. Regardless of the style of your rooms, pendant lights will give it a modern look. The lamps feature wispy and soft glow. They are also cagey and allow light from inside to glow out seamlessly. The best place to install the lamps is at the center of the room so that everything else can brighten up. In this type of contemporary lighting, the lamps are fitted around the perimeter of your room. It’s ideal for the living room, which may not require much light because of the television light. In addition to providing light in the living room, the lamps act as decorations. There are so many designs for hanging lights today. What matters is the style that you like for your house. The good thing about these lights is that they are versatile—you can fit them in the living room, the bedroom, or the washroom. They’ll just look attractive wherever they are. These are more like tiny spotlights. However, unlike actual spotlights, these tiny lights pack a big punch, especially when it comes to lighting your space. You can use them in several packs to efficiently light your room and cast a fascinating glow. They are more recommended for the bedrooms. This involves mixing different lights in different rooms. For example, you can combine pendant lamps with sidelights or hanging lights with ceiling accent. If you prefer your lighting to originate from the sides instead of the ceiling, then you should try side wall lighting. However, you have to prepare to spend extra since you’ll require more lights unlike the above highlighted lighting ideas. With these modern lighting ideas by CLA Lighting, you can transform the appearance and value of your home the way you want it. By and large, you are the one who knows what lighting style suits your house and what doesn’t. Do you have a parking lot that was built several years ago? If so, it is possible that you have never upgraded the parking lot’s lighting fixtures. Sure, you may have replaced the lamps a few times, but this is an essential step to ensure that your car park area is appropriately lit at all times. Conducting an upgrade can improve the efficiency of your lighting fixtures and increase their effectiveness. When your parking lot has enough light, cases of theft will be eliminated, and users of the property will feel safer leaving their vehicles in the car park area. That’s why you need to observe the following measures if you want to improve the lighting in your parking lot. For accurate results, you need to get a professional to conduct the assessment for you. They have experience in dealing with external car park lighting, and they can give valuable insight into what you need to change during the lighting upgrade. External car park lighting systems that were installed years ago probably have old-school fixtures that do not adequately light up the area. If you have the traditional shoebox lighting fixtures, it is time to replace them with modern fixtures. The best on the market are flood-type lighting fixtures. These are high-intensity, broad-beamed fixtures which focus their light on a specific area. With these installed in your parking lot at strategic areas, you can light up the entire space and get rid of dark spots which can be dangerous for the lot users. Energy-efficient lighting bulbs can significantly reduce energy costs in your business. That’s why you need to ditch traditional lamps and invest in LED ones. LED bulbs are energy-efficient, and they emit more lumens per watt than the traditional incandescent ones. What’s more, the efficiency of the lighting fixtures is not dependent on its shape — LED lamps will adequately light the parking lot regardless of their form. Finally, quality LED bulbs have a long lifespan, and you won’t have to replace them often. 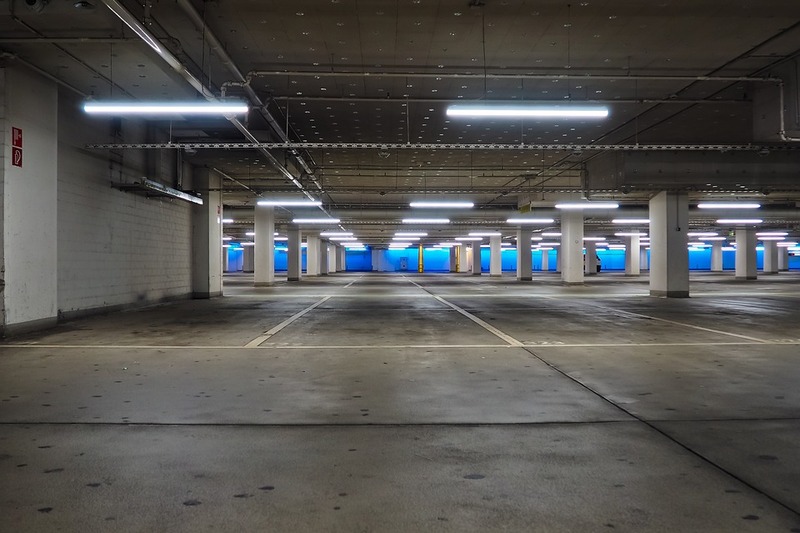 Upgrading your car park lighting may be what you need to increase the safety of your commercial property users and visitors. Consider upgrading your lighting system by following these simple tips. Also, work with an expert so that they can recommend the best lighting fixtures on the market that will serve you for a long time. • Reasonably priced just like traditional lamps. • Ceiling Pendants: This refers to individual lights that hung together in groups or rows. Often, they are suspended using cables, chains, or rods. You can get them in colors, sizes, and shapes that suit your unique needs. • Pendant Bar Lights: Pendant bar lights are multi pendants with their sources of light fixed or suspended from bar-like structures. This makes them great for lighting over long tables. It’s advisable to check individual product specification before you choose one as they can vary in style. • Pendant Clusters: These pendants are ceiling lights that have only one mounting point. However, they house several individual pendant lights. This structure makes them best suited for dining rooms as well as long drop stairwells. Where is the ideal place to hang your pendant light? Modern pendant lights are highly helpful in houses or rooms with high ceilings. It’s undesirable to hang the light in areas where people have to walk underneath them. So, at the commercial lighting design planning stage, do due diligence to avoid dangerously low-hanging lamps. Use beautiful modern pendant lights as a focal point in large hallways or appropriate lobbies. Alternatively, use them to create hallways visually and notice how appealing they are when hanged in specific patterns. Choose pendants of various sizes depending on your own preferences. An excellent choice for people who want a stunning visual impression is mini pendants. They are ideal for the bar, counter, or other significant places. In case you like something fancier, consider multi-light pendants. These pendants are made up of several small pendants fixed to one canopy in different unique patterns. There’re extensive collections of commercial pendant lights. With modern pendant lighting, you are sure all your lighting needs are taken care of adequately. Get in touch with your store and describe whatever lighting you need have. Chances are, you’ll be spoilt for choices. What Grow Lights Should Be Included In Your Kit? The use of grow lights is not a new thing in Canada. The lamps are mostly used to grow plants indoors. Nonetheless, there are a few farmers who use them in the outdoors in tent structures and greenhouses. When you buy grow lights kits Canada, you are provided with lamps and lighting accessories like ballasts, hangers, light controllers, and power cords. Your concern, however, should be the lamps and not the accessories. Some lamps produce more illumination than others. It all depends on what you are growing and the growth stage. Fluorescent lamps are a great pick for small indoor plants because they don’t penetrate deeply. Their advantage though is that they are at least three times more energy-efficient than the conventional household lamps. They come in a wide range of spectrums depending on the plant’s growth stage. The other advantage is that they don’t require much wiring, thus easier to install in your growing structure. High-intensitydischarge (HID) lamps are a great pick for both indoor and outdoor plants. They have a high penetration power, therefore great for large plants. They are at least four times more energy efficient than the traditional household bulbs. The commonest types are metal halide and high-pressure sodium grow lamps. They are widely used during the vegetative stage. Ceramic metal halide lamps are almost similar to HID lamps. However, they enjoy more energy efficiency, hence a great replacement for HIDs. You can use them during the budding or the flowering stage since they produce more light. They are also easy to fit as they don’t require detailed installation. If you are looking for the newest technology in grow lights kits, it has to be the LED lamps. LED grow lights in Canada are designed to save you a considerable amount of money because they use less energy. For this reason, they are a convenient option for long exposures. With the above ideas in mind, it becomes easier to match your plants with the right lamp. Of course, you have to consider other parameters like cost and warranty before making any purchase. Lighting is essential in every home. When you consider all the benefits of LED ceiling lights, you will know it is the right choice for your home. There are two reasons LED lighting is the budget-friendly option. First, the lights cost much less to use than old-fashioned light bulbs. With LED, you will be lighting a room rather than heating it with an old-fashioned bulb. Your energy bills will be lower, too. Second, LED has a much longer lifespan than traditional bulbs. You can save money because you will not need to replace it as often. Unlike fluorescent bulbs, they do not contain any toxic chemicals. They are better for your health, and better for the environment. If you are interested in an eco-friendly, green lifestyle, changing the lighting throughout your home is a good way to start. Whether you read, watch television, or relax with family or friends, the lighting you use during the nighttime can affect your eyesight. Old-fashioned bulbs can produce a glare that is unhealthy and uncomfortable. You can enjoy the nighttime and protect your eyes by replacing them with LED lights. From table lamps to bulbs hanging from the ceiling, traditional lights can be unattractive and bothersome. With LED, you have choices. Your room can be bathed in a soft glow with recessed lights. This type of lighting can be elegant and sophisticated, or simple and lovely. However, you can also choose from a wide variety of styles and designs to complement the decor in your room. Whichever you prefer, the room will be beautiful. There is no room in your house that would not be improved by replacing old bulbs with LED lighting. Your living room or family room, kitchen, and bathroom will all look nice. Every member of your family will love these beautiful new lights in their bedrooms. If you enjoy outdoor living spaces, LED is ideal for your patio. Your outdoor time does not need to end when daytime is over. You can enjoy the scenery and fresh air into the nighttime when you have lights on the patio. Whether your priority is saving money, living a green lifestyle, or beautifying your home, LED is the simple solution. You can have all of these benefits without any complications. All you need to do is install LED ceiling lights, and be ready to appreciate the differences. It is the perfect way to light your home. It’s a basic requirement that an external car park has to be safe for both the users and the cars. Installing the right lamps is key to securing the parking lot. Different outdoor car parks have different lighting requirements, so it’s important to know what external car park lighting suits yours. Normally, the way you light up a narrow car park space is different from the way you light up a spacious one. The former requires more light fixtures and mounting surfaces while the requirements for the latter are fewer. You should have these ideas in mind when fitting the lamps. Since the angle of illumination in these kinds of parks is small, setting the source of lighting around the perimeter is a great idea. You need to set up a few tall pillars on the boundary of your outdoor parking lot to support the lamps. Unlike the narrow car parks where you need to set up the mounting pillars on the park’s perimeter, a spacious car par just needs a few central pillars where you can mount floodlights. The lamps are directed to all directions so that all angles of the park are visible. White light offers the best lighting solution for outdoor car parks. With the lamps, you can see the park clearly without straining your eyes. Moreover, the lighting aids CCTV cameras in monitoring the park. What’s more, white light provides a sense of well-being and can go a long way in accentuating your architectural or landscaping features. Remember, you don’t require much light when the traffic is low. So, installing smart lighting systems may help you a great deal in saving the energy costs as you are able to lower the illumination. It will also ensure that your parking is not over-lit. There are three lighting levels and picking any of them depends on how busy your outdoor parking lot is. The levels are 5 lux, 10 lux, and 20 lux for light traffic, medium traffic, and heavy traffic respectively. For a large car park, it is advisable to use high-powered source of lights with considerably taller mounting heights. With these ideas for external car park lighting in mind, it’s possible to fit the right lamps in your outdoor space. This will guarantee you the best illumination and the chance to save on energy consumption. In the long run, your park will stay safe. 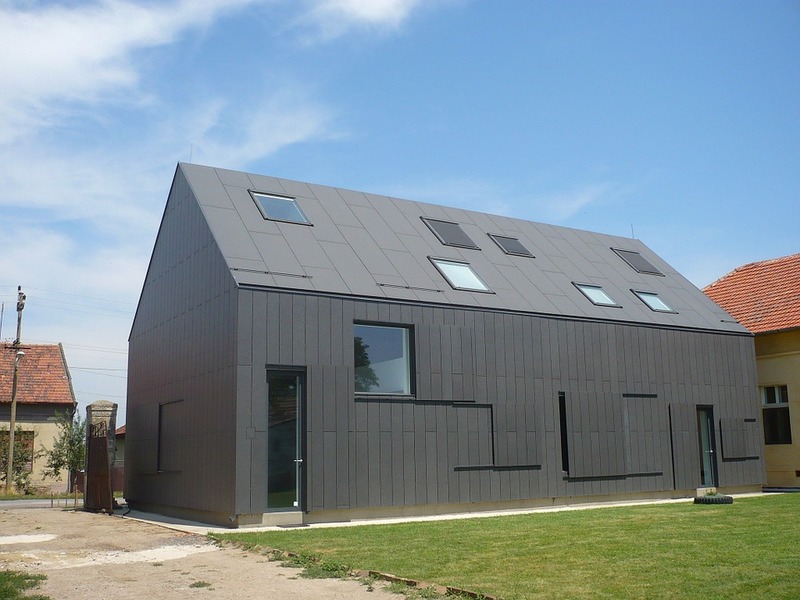 If your house lacks large windows, then it might feel a bit dark and stuffy inside. The gloomy atmosphere probably doesn’t help lift the family’s mood, especially when the weather itself is dreary. With the sunlight coming from above, all of that will change as the quality of the illumination is excellent. You won’t have to depend on bulbs in the daytime so you will save money on energy bills while getting better lighting. You won’t have to modify your walls just to install bigger windows — a potentially costly endeavor. Of course, it would depend on where the skylight is located. Above the stairs is a great option as the light can spread across multiple floors. Of course, skylights can bring in more than just illumination. They could be opened manually or automatically to let air flow freely between the inside and outside of the house. Since these are usually placed high up, they are perfect for venting hot air that has been gathering in the home. It can be quite useful in the summer when the scorching heat can be punishing. Instead of turning on the air conditioner, you can simply open all of your windows and skylights to let natural ventilation cool everything down. Passive cooling can save you a great deal of money. Now you might be worried about how the new addition will affect the energy efficiency of the home. This is a valid concern as regular glass is bound to let heat in along with the sunlight. This would tax the cooling system, if turned on, and push the energy consumption up. The solution is to install energy rated skylights with special glass that minimize heat transfer. This barrier will allow most of the light to pass through while maintaining a high thermal efficiency, leading to lower energy consumption. You can therefore get the best of both worlds. Over the past few years, commercial buildings owners have seen a wide range of innovative lighting options flood the market. Accordingly, a bigger percentage of them continue to work towards improving the aesthetics and functions of their lighting systems to ensure that their tenants are comfortable while also benefiting from cost savings. To ensure that you are not left behind, here are a few commercial lighting design trends to expect in 2019. Several studies cite the benefits of natural lights to employees, including better performance, job satisfaction, increased sales, and even increased sleep. Increased use of natural light in the workplace can also lower a building’s energy loads, which is great for the tenant’s and the building owner’s bottom-line. People are shifting to smart LED lighting systems that can automatically adjust their outputs depending on the levels of natural light. The trend will continue to gain traction in 2019 and the years to come. 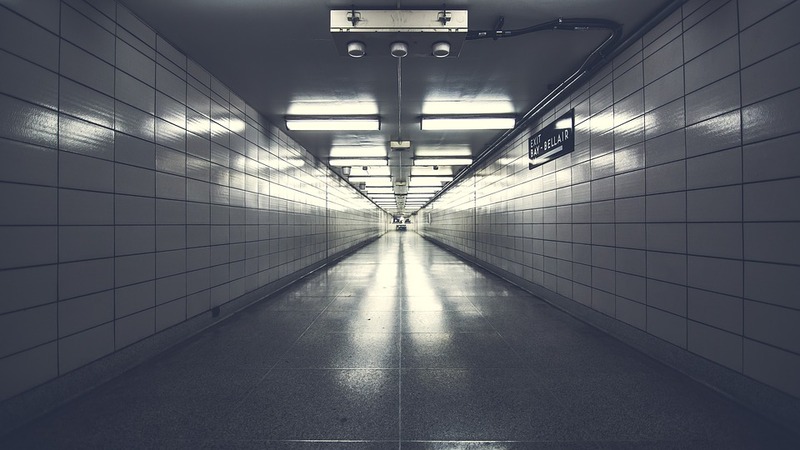 Besides daylight and occupancy, today’s light sensors can detect a wide range of other parameters including relative humidity, environmental pollutants, particulate matter, and more. Although some commercial building owners don’t know the full potential of some types of sensors, they believe that there are hidden benefits of these sensors, and they don’t want to be left behind whenever a trend hits. You shouldn’t be too. Although energy codes have been driving the commercial lighting digitization over the past decade, we cannot afford to drop it in this list. This is because energy consumption continues to influence a wide range lighting design decisions, especially considering that codes are continually being updated. Stricter rules are anticipated in 2019, and commercial building owners and managers would do well by paying a close attention to these updates. Lastly, we are seeing a lot of shift towards soft colors. A bigger percentage of high-end homes are using interior finishes in grey and beige. Soft gold is also under this spectrum of soft colors, which continues to be the go-to choice for contemporary interior decors. Accordingly, when choosing overhead lighting in 2019, consider going for fixtures that are closely designed to accentuate the gold. There you have it; the top 4 trends that will have a broad impact on the commercial lighting industry in 2019. Each of the trends is a good pointer to the direction that lighting systems seem to take as far as the broader smart building and internet of things (IoT) world is concerned.